Picture perfect view of the Ruby River as it winds its way to the Beaverhead. Healing Waters Lodge has access to private water in this stretch of the Ruby. 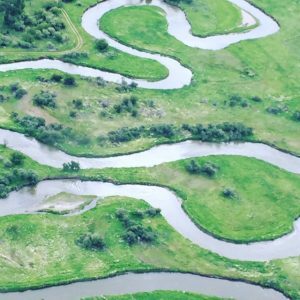 Moose, sandhill crane, white-tailed deer, Blue Heron, and an abundance of trout, make this valley a Montana Serengeti of sorts, thanks to caring and responsible landowners and resource admirers and users. Special thanks to my pilot, Marcus, for a most enjoyable flight!